﻿ Secret behind Zen, Sufism, Christianity, The Fourth Way, Taoism and Vedanta. Most religions tell you what to do but not how. This is because, over the ages, the inner knowledge they once had has been forgotten, distorted or dumbed down until only rituals and irrational beliefs remain. 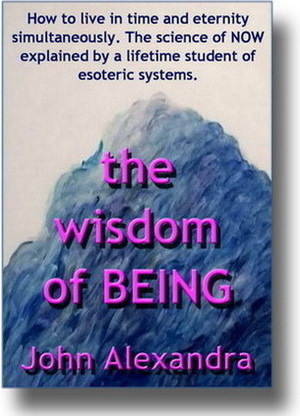 John Alexandra strips the obfuscation from traditional sources of spiritual insight. He uses two esoteric systems - the Gurdjieff Work and Zen - to open the frontiers to unitary knowledge in a profoundly simple way. Here you'll find a place to begin - unvarnished, practical advice about self-awareness and the inner path. ''To know means to know all. To know a part of something means not to know. one has to know very little. It can take a lifetime to understand that little - to realize a few simple things. What is the nature of reality? And can it be directly known? Through the ages, mystics have said that it can. Although their experiences are identical, because Unity is one, their expressions for it are myriad, because truth can't be defined in words. And so all such expressions attempt to describe the same thing. The Unmoved Mover who moves all things. And can we flawed, undisciplined beings ever aspire to know this thing - not philosophically but organically. Can we know it with certainty - as fact? How, then, can the complex understand the profoundly simple? While great spiritual traditions remain as fixtures in time, their beliefs are passed down in increasingly distorted forms. And belief, at best, is a comfort or defence - not a fact. Inevitably, the techniques of their founders enter the marketplace - mostly in a form so warped or weakened that they do little but mislead. Many Masters have declared that, three generations from the source, distortions and ignorance are assured. When the outer aspect of a revelation, degraded to mere information, filters into general life it becomes useless for serious study. Zen, Taoist and Vedantic sages had no time for belief, only facts. And to wake people from the dream we call our lives, they used practical means - such as self-inquiry and the study of attention. You'll find the pith of their methods here. All a genuine teacher can do is try to get people to see what is in them. But to see ourselves is the thing we cannot face. We cannot see ourselves without the image unless we have a science of Being. Yet even in places where such knowledge is preserved, most students remain followers, staring up at their gurus or down at their books without perceiving what is in front of them. And if, by chance, they discover a shred of truth, they preserve it like a pressed flower - to comfort themselves or feel special, instead of discarding it and going on. Because the price of contacting reality is everything we are or possess. So can this body - this organ of perception - connect directly with the universe? Is something so outlandish possible? This book attempts to be a touchstone. But that doesn't make it accessible. Still, as inner teachings spread like pollen across the West and certain concepts become more available, if you have assimilated some of them you could find direction here. What follows is based on a lifetime of work in esoteric groups. Specific advice is omitted because it relies on oral transmission. John Alexandra, has studied with both the Zen and Gurdjieff traditions and is an expert on the occult and comparative religion. His book, The Wisdom of Being, is an attempt to de-mythologize approaches to self-awareness and self-transformation and reveal the inner core of authentic systems of self-mastery. Talks With Al is an introduction to the esoteric teaching couched as a deceptively simple series of dialogues between a teenage seeker and a guru. The dictionary is written by an expert on Hermeticism.